The recipe makes 24 buns which should be enough for anyone for Easter. A couple of years ago, we had a Hot Cross Bun hankering and I made my first batch in February. By Easter that year, we had eaten three batches! Oink! Oink! 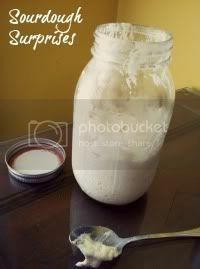 Mix yeast, 1 tsp sugar and warm water and let stand 10 min. In mixing bowl, mix together milk, butter, sugar, eggs, egg yolk, salt and spices. Add flour, candied peel and currants. Add more flour until no longer sticky. Knead 5+ min. This makes a very soft dough. Place in a greased bowl and cover and let rise until double. Cut into 24 pieces and form them into buns. To cut into 24 pieces - cut in half (you now have two pieces), cut each piece in half again (4 pieces), half again (8 pieces), and finally in thirds (24 pieces total). Place them on a greased cookie sheet not touching each other. When buns have risen, take a sharp or serrated knife and carefully slash buns with a cross. Brush them with egg white and bake in pre-heat oven at 400°F for 10 minutes. Reduce heat to 350°F and bake until buns are golden brown, about 5 -10 minutes more. Whisk together glaze ingredients, and spoon over buns in a cross pattern. OMG, these looks SOOOO good. I can practically smell them. Yummo!!! They look wonderful! I can't wait to try them. I bet they would be really good at Christmas with the dried fruit in them. That's so like me to be in one season, already thinking of one to come. Do you have an estimate of total time involved with making these? I would like to make them for Easter, but I always have trouble - timing wise - with my yeast projects. Oukay the time depends on different things - freshness of your yeast, warmth of kitchen or where you set the dough to rise, warmth of milk, etc. I would say around 1 hour or more for the first rising and maybe slightly less for the next.